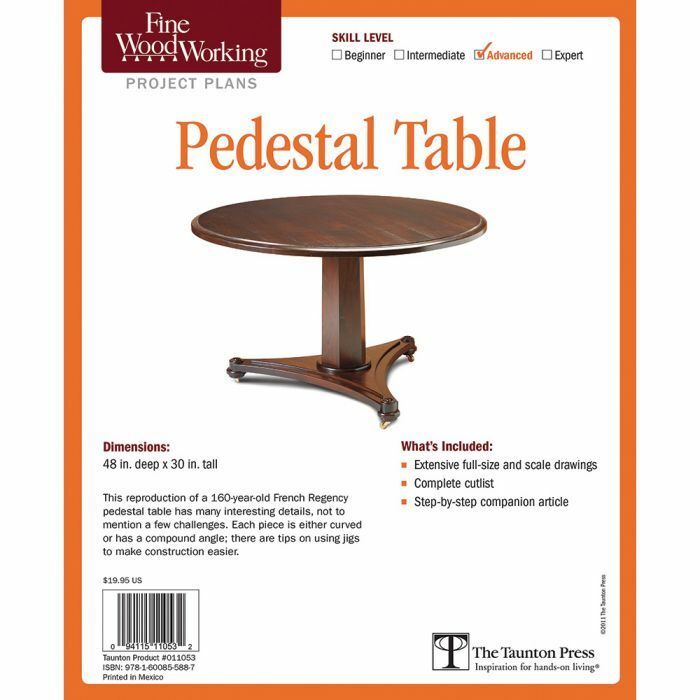 This reproduction of a 160-year-old French Regency pedestal table has many interesting details, not to mention a few fun challenges. Each piece is either curved or has a compound angle, and there are tips on using jigs to make construction easier. Curved parts on the triangular base are shaped with a router on a trammel jig. There's no need for a lathe to shape the feet. A steel rod feeds through each section of the table, holding it together.